J. Scott Colesanti, LL.M., has taught at Hofstra since 2002. In 2006, while serving as an adjunct professor, he was selected “Professor of the Year” by the Hofstra Law Review. 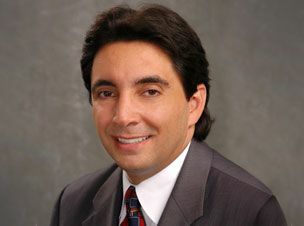 Prior to joining academia, Professor Colesanti was the first law clerk to a Chief Hearing Officer of the New York Stock Exchange; he subsequently served as Investigative/Trial Counsel for the NYSE Division of Enforcement for 10 years. Afterwards, he served within the NYSE Office of the General Counsel, and as a securities industry arbitrator for over a decade. He has handled appeals before the Securities and Exchange Commission, the Social Security Administration, the EEOC, and the New York State Division of Human Rights. In 2008, he was named Professor of Legal Writing. At Hofstra, he has developed and taught 10 different courses and advised over 50 student Notes. Separately, Professor Colesanti has had over 20 articles published by law reviews/industry journals, and his writings have been downloaded from SSRN over 1,000 times since 2010. Other of his writings are included in treatises on securities law and have appeared as expert commentaries introducing seminal business law cases. In July 2016, Professor Colesanti published his first book, Legal Writing, All Business. A review in The Scribes Journal of Legal Writing concluded “If you teach a first-year legal-writing class, you should consider using Colesanti’s book as a text. Its substantive lessons will serve your students well in law school and beyond.” In December 2017, Professor Colesanti shall release his second book, Oral Advocacy, Style and Substance. Professor Colesanti is a member of the Bars of New York, Missouri, and Washington, D.C. He regularly lectures on the 2008 Financial Crisis, and he also coaches high school mock trial teams. He previously instructed at the Saint Louis University School of Law, and he has taught in Curaçao and Germany as part of the Hofstra Study Abroad program. He served on the editorial board of the Journal of Securities Law, Regulation and Compliance, and is a former contributing co-editor of the Business Law Professor Blog. Professor Colesanti presently serves as an adviser to both the Business Law Honors and Corporate Compliance concentrations. View Professor Colesanti's papers on the Social Science Research Network (SSRN) website.